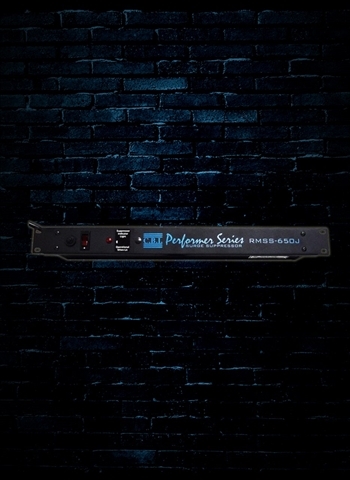 Protect a rack full of gear against power surges and spikes with this 1U surge suppressor from CBI. With 6 outlets, there's plenty of room for your rig. Providing advanced circuitry protection for your sound equipment from problems caused by AC line voltage irregularities such as brownouts, sags, and over-voltage conditions. The CBI RMSS rack mount surge suppressor features 6 outlets, LED circuit monitor and 15A / 1800W in a 19 inch single rack space. Any musician or engineer knows that quality cables and adapters provide the foundation for your setup and need to be reliable. With CBI's hand-soldered products and rigorous quality control, you know that their cables for instruments, electronics, microphones, and speakers are made of sterner stuff, ready to be a mainstay on a performer's rig for years to come. A family owned business for over 25 years, CBI cables and adapters have your audio connectivity needs covered and are ready to handle any situation, no matter the configuration.